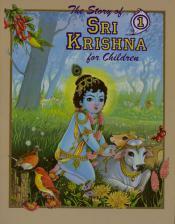 A delightful story of Krishna for children. This is the story of the child Krishna written for children. It's a large paperback with many drawing, some in color that portray his colorful life. 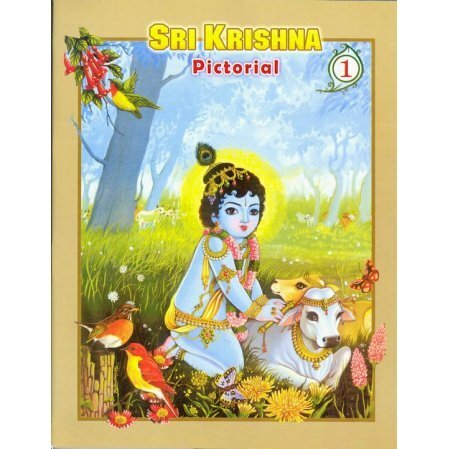 Volume 1 covers Krishna's life from his dramatic birth to killing the evil Kamsa. Note that in Hindu mythology, the bad guy may be a villain, but he, and it's usually but not always a he, is still a great devotee of God. Volume 2 continues the story of Krisna from his initiation with the sacred thread through various adventures and the great battle of Kurukshetra, to his final death by the arrow of an archer. Not to confuse you (we're confused ourselves) but the publisher recently titled volume one, "Sri Krishna Pictorial." The series may be changed to that name at a later date. Till both volumes have the same name, we'll keep the former title.